Take lashes to new heights with the MAC Extended Play Perm Me Up Lash Mascara, a volumising mascara that instantly lifts and curls every lash with clump-free results. 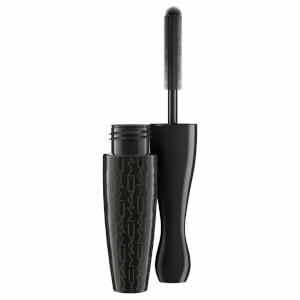 The lash-plumping black mascara has a lightweight formula that instantly lifts the appearance of lashes, lengthening and curling with up to 16 hour hold for a striking effect. Smudge and flake-proof. Easily washes off with warm water. Ophthalmologist tested. Safe for contact lens wearers.